Many people will remember Helen Townsend who used to run the Marie Curie charity shop near the bottom of the High Street. 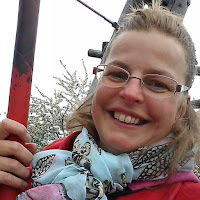 For those who don't know, Helen took Maternity leave around the beginning of the year to have her second child and has now decided to branch out with her new business selling Aloe Vera products. 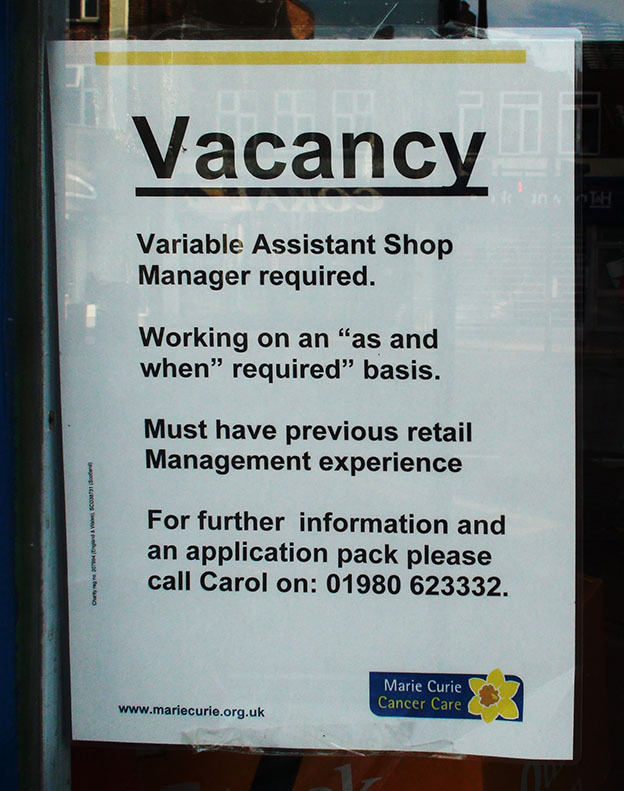 "I am not returning as shop manager of Marie Curie of Worcester Park after my maternity leave. Thank you to all of my volunteers and customers for supporting the shop and the facebook page; I had a fantastic 6 years there. I live in Worcester Park so I will still be around! 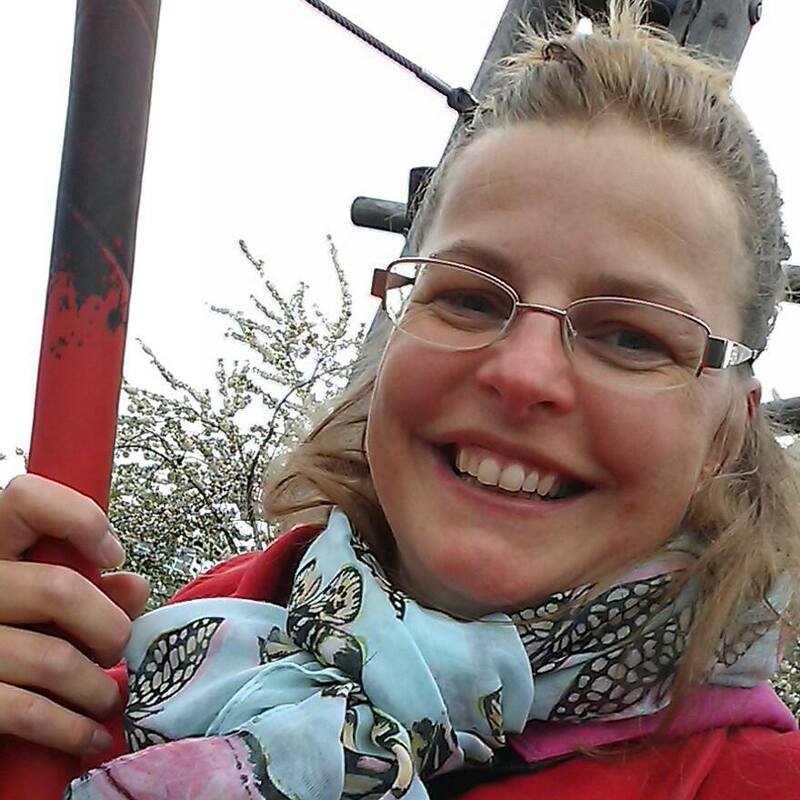 I have a new job working with forever living which produces product made from Aloe Vera. I have my new Facebook page called 24 hours living with forever." and still make a little bit of money, selling products she already believes in, she thought she'd make a go of it. There are many people selling various things with this 'Network Marketing' business model. I know people selling Herbalife and Amway and my parents tried doing Avon for a short while many years ago. Helen has promised she's not going to let it take over her social life so that, as she put it, "people won't need to go hide in a bush every time they see her coming", but she will be working hard on it as a proper business. 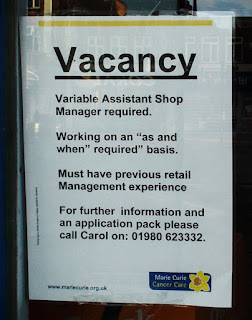 That of course leave Marie Curie looking for new staff - as the notice in the shop front will attest to. 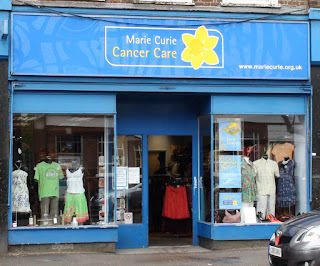 It seems Marie Curie's loss is Forever Living's gain. I you would like to buy some of these products from Helen, please email her on helly77@hotmail.co.uk or telephone her on 07588 593 410.